Humanity has begun to spread throughout the solar system. On Mars, a few small colonies have been built. These offer protection from the environment, from a planet which is terribly cold, dry, and with almost no atmosphere. 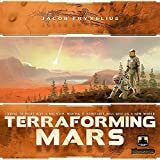 To be able to increase immigration from Earth, Mars needs to be terraformed by altering its environment until humans can live there without expensive protective gear, and without even minor accidents becoming lethal. Therefore the World Government has decided to support any organization that contributes to this vast undertaking. The generous funding attracts gigantic corporations that compete to expand their businesses and emerge as the most influential force behind the terraforming. 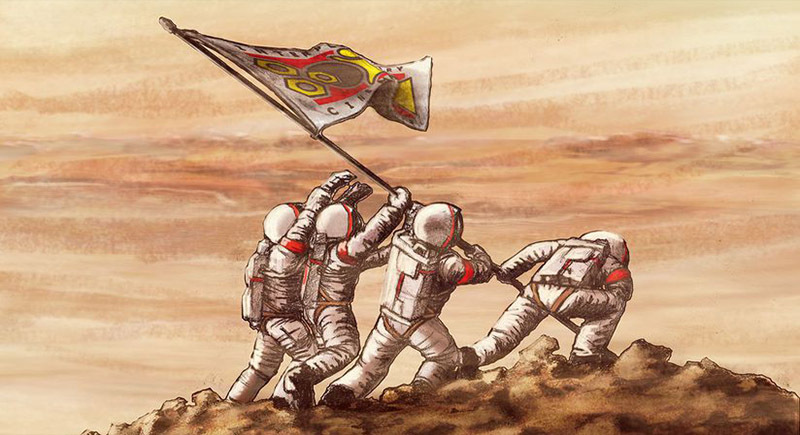 In this era, great opportunities lie in the taming of the Red Planet. To play the extended game, simply add all cards marked with a red and white icon () on the cards' lower left border at the start of setup, including 2 new corporations. Players start with no extra production of resources. Corporate Era can be combined with any of the other game variants. You win the game by having the most Victory points (VPs). VPs are scored for your Terraform rating, from tiles on the map, from Milestones and Awards, and from many of the cards. 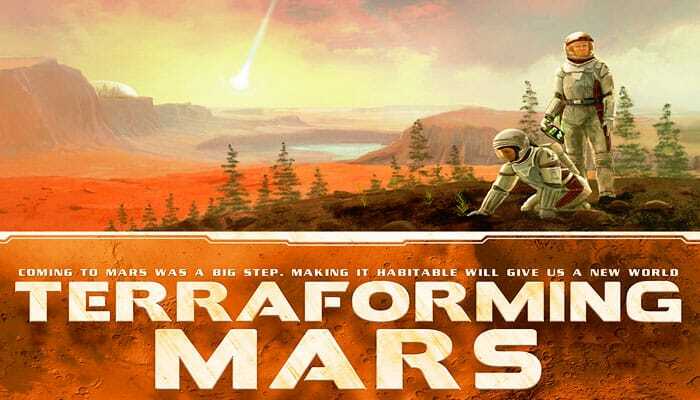 Terraforming Mars is about making Mars earthlike enough to live freely on it. There are 4 parameters on the game board connected to this process: Terraform rating, temperature, oxygen level and ocean coverage.